The People’s Defence Forces/Kurdistan Workers’ Party (HPG/PKK) has been waging an armed struggle against the Turkish Government since 1984. 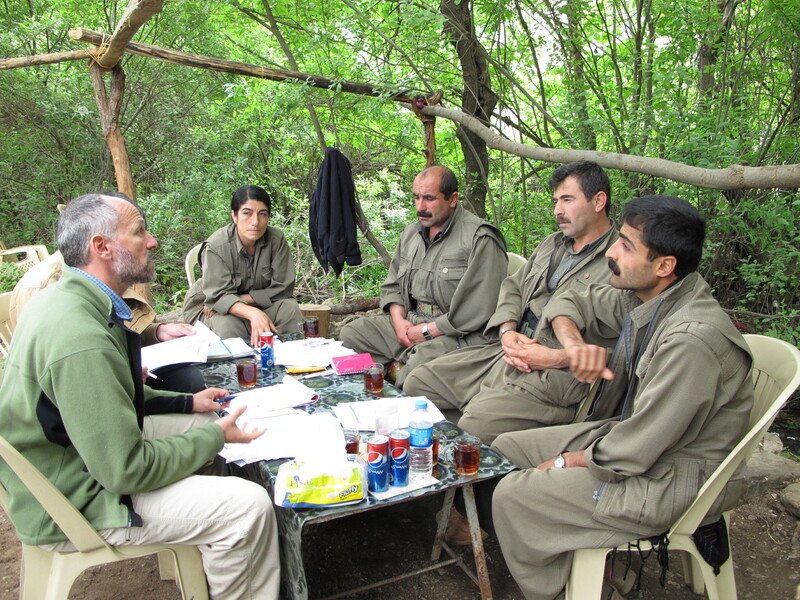 Peace talks between the HPG/PKK movement and the Turkish government, launched in late December 2012, broke down in July 2015. Since then, violence levels have reached an all-time high. In July 2016, part of the Turkish army attempted a coup against the current government. Though the coup ultimately failed, it has jeopardized the country’s political and military stability; this includes an increase in overall risk levels and a decrease in the space and opportunities for political opposition, the media and even human rights organizations. Furthermore, the HPG/PKK is fighting the Islamic State group (ISg) in Iraq on the Sinjar and Kirkuk fronts, and it continues to play an important role in the protection of internally displaced person (IDPs) and refugees. Geneva Call has been engaging with the HPG/PKK on the AP mine ban since 2001, and on child protection, gender issues and humanitarian norms in general since 2008. As Geneva Call does not have access to Turkey, meetings with the HPG/PKK take place elsewhere in the region and in Europe. 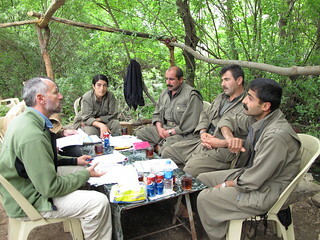 This lack of access poses challenges for monitoring the HPG/PKK’s compliance with the Deeds of Commitment it has signed. In order to overcome this lack of access, a specific monitoring process has been set up. Geneva Call has repeatedly made requests for meetings with the Turkish authorities, but these have always been rejected. HPG/PKK’s signature of the Deed of Commitment banning AP mines facilitated the destruction of 770 anti-personnel (AP) mines and more than 2,500 other explosive items. Following the signature of the Deed of Commitment protecting children in armed conflict, the HPG/PKK informed its members of the creation of a category of non-militarily active members from 16 to 18 years old and provided these children with safe conditions and education in separate areas. The HPG/PKK took steps to investigate allegations regarding the recruitment of children under 16 years old, in violation of the Deed of Commitment protecting children in armed conflict that it signed in 2013. The PKK women’s movement confirmed its willingness to sign the Deed of Commitment prohibiting sexual violence and against gender discrimination and to make a unilateral declaration on its existing policies against sexual violence and gender discrimination and on its good practices. The HPG/PKK leadership has been engaged in dialogue and sensitized several times on its obligations under International Humanitarian Law. Since 2010, Geneva Call has conducted four training courses on international humanitarian norms for HPG/PKK: 14 military trainers and 57 commanders.